I don’t know about you, but I am feeling robbed this winter here in the valley of Arizona. We Phoenicians typically brag about our mild climate in the winter and plan all of our outdoor activities for December- April, but not this year. It is cold. So what are we do to with these tiny humans who are trapped inside the house and are ready to play outside? How do we keep our sanity when we also want to be outside enjoying the mild weather before the triple digit weather returns? Below are a few fun activities that take minimal supplies and will keep your children busy for a little while we wait for the warmth to return. Cozy Day: Start and end the day in PJ’s, have a warm cocoa bar with fun toppings, watch a family movie together, build a fort, snuggle with stuffed animals, or read-aloud a fun book. There are very few opportunities to bundle up and just enjoy each other, so this is a great excuse to lay low and practice hibernating! You can even use this as an opportunity to teach your children about animals that hibernate in the winter. Balloon Ninja: Blow up a few balloons and encourage your children to try to keep them in the air by using their hands, feet or even their heads. This game encourages cooperation and is safe to do inside. Where’s the Toy? : Have your children choose a favorite stuffed animal or small toy. Hide the toy somewhere in the house allowing a little portion of the toy to be seen. Let the children work together to find the toy. Take turns being the person to hide the toy or choose specific rooms to hide the toy. After a few rounds encourage your children to lead the game themselves, which will give you a well-deserved break. M essy Play: Often times as parents we shy away from messy play, but it is an extremely important part of play and learning. Grab a cheap table cloth or use the bath tub to allow your kids to explore messy play. This could be anything from bubbles and water, play dough, shaving cream, yogurt, Jell-O, or pudding. I like to use food because it’s one less battle to fight if your child decides to eat it. For babies, I love using different types of baby food to let them explore taste and textures. It’s a great way to expose picky eaters to new foods without the pressure of being hungry or trying something new during meal time. Play Board Games: Take out a few of your favorite children’s games and teach your children how to play. You can change the rules if you need to make the game more developmentally appropriate, or make up your own board game. Read books! :This may be so obvious that we forget about it. Cuddle up and read books together. Use colddays to delve deeper into subjects that your children are interested in, and take the time to research the answers to those endless “Why” questions. Act out stories, listen to books on tape, or even let your children read to you. Tape Trap: Using masking tape and a hallway, create a maze back and forth between the two walls. 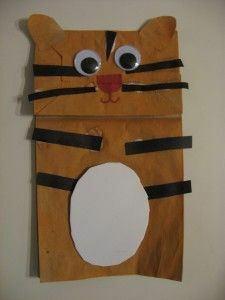 Encourage your kids to try to make it down the hallway without touching any of the tape. Bundle Up and Go outside: Take a nature walk and look at the difference between being outside in the warmth and the cold. Talk about the differences in the environment, the animals you see, how your breath looks in the cold and anything else your children notice. Play games that encourage your children to run around and stay moving to keep themselves warm. 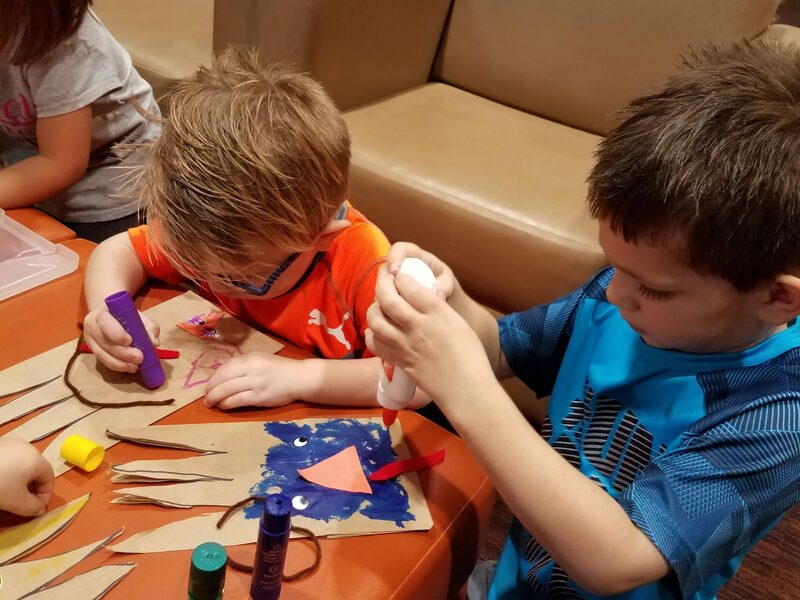 Culture Pass: If you are a member of certain libraries, you can check out a Culture Pass and receive 2 free tickets to museums, the Arizona Science Center, performing arts programs and more. Contact your local library to see if they participate in the Culture Pass Program and which passes are currently available. 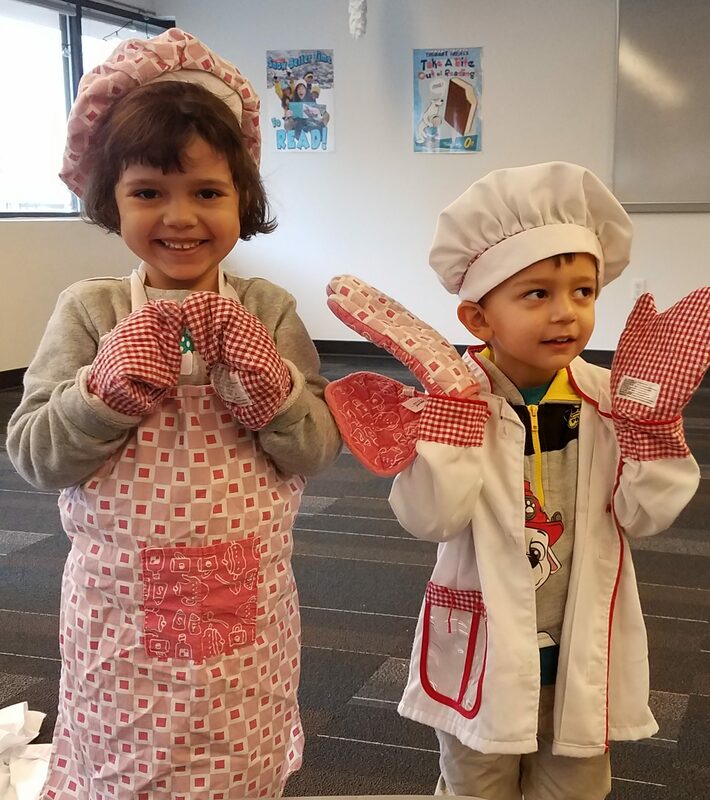 Bake for Neighbors: Teach your children about generosity and thinking of others while also exploring math and science. Choose an easy item to make like No-Bake Cookies, Trail Mix, or Sugar Cookies to bake and bring to neighbors. Encourage your children to brain storm people they would like to share treats with like the school nurse, their teachers or friends. Extend the activity by coloring cards or pictures to go with their treats. 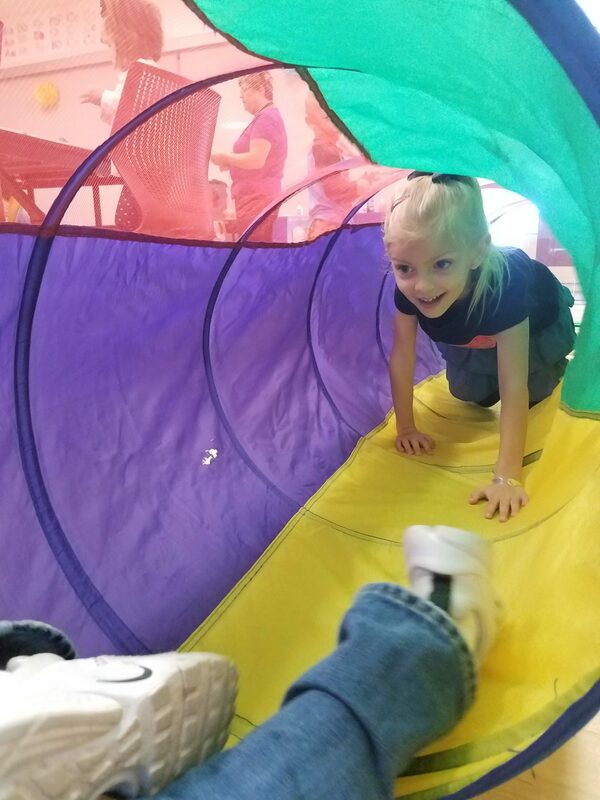 Being inside can be challenging, especially with young children, however it can also be a great opportunity for bonding, teaching cooperation, creative play and scientific observations. Feel free to leave comments about how you are spending these chilly days with your children! There is a lot of talk about social and emotional skills in the early childhood development community. When we think of these skills, typically our first thoughts are related to feelings and emotions. While that is true, there is much more to social and emotional development then just how a child feels. Social and emotional development occurs as a child learns how to process and manage his/her own feelings, express his/her feelings to those around him/her in an appropriate way, assess and respond appropriately to other’s feelings and interact with peers and adults in a positive manner. 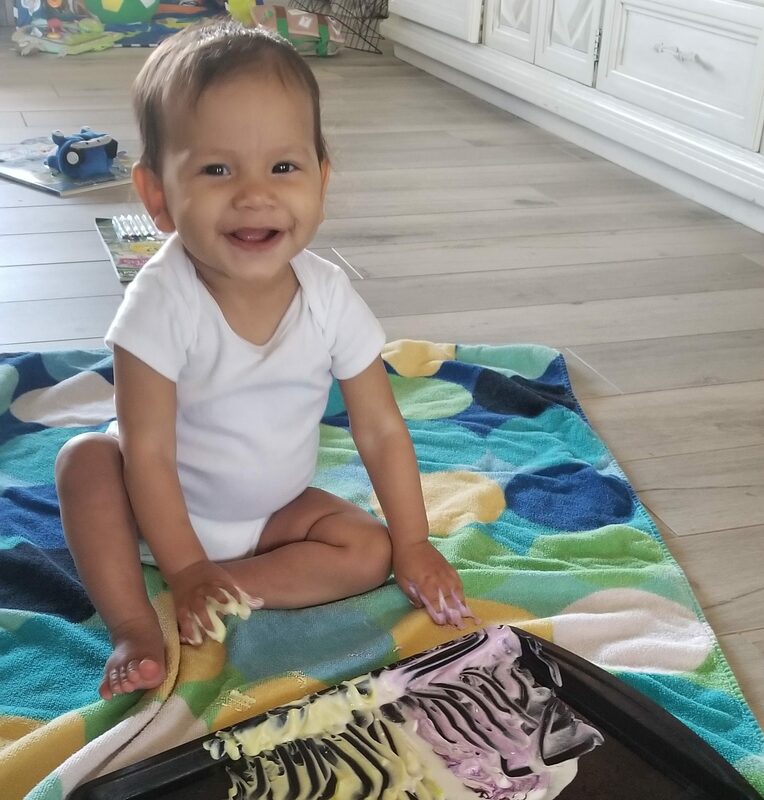 Smiling, pointing, making eye contact, blowing kisses, taking turns, asking for help and yes, even temper tantrums, are all normal milestones a child experiences as his/her social and emotional skills develop. As these milestones happen, it is crucial that children have access to attentive caregivers who take the time to process and teach them how to handle each of these experiences. Research shows that children who enter kindergarten with poor social and emotional skills have a significantly more challenging experience than their peers. These skills are instrumental in helping children feel confident away from their parents, asking for help from another adult, learning to trust other adults, engaging with peers, managing their emotions when they don’t get their way, taking turns, expressing their feelings appropriately and taking risks. Helping young children learn these skills is not always easy. It requires patience, understanding, and a healthy dose of laughter along with regular communication and ongoing teaching moments. Here are a few other tips for encouraging your child’s social and emotional development. 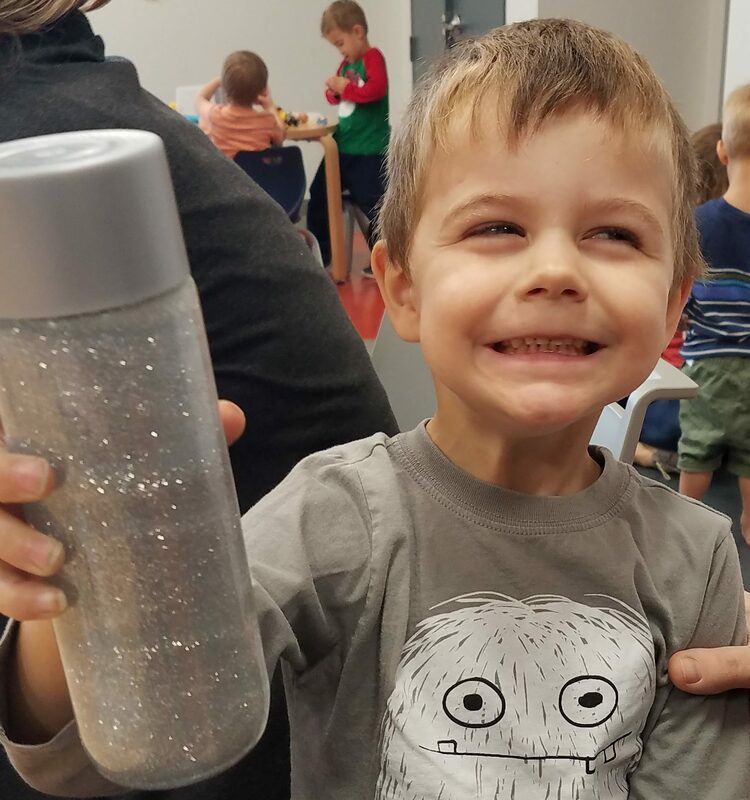 *** One of our favorite activities do to at Fun Van is make sensory bottles. These bottles are wonderful to help teach young children how to manage their feelings. These are great for shaking to get out frustrations or helping your child to calm down while watching the items swirl and sink. 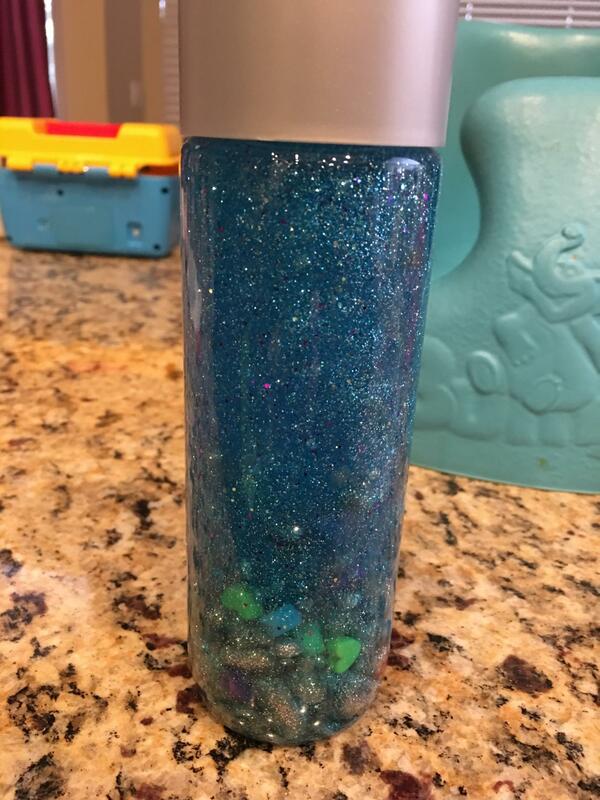 To start, pour about half of the bottle of glitter glue into the water bottle. Next, pour in the warm water. Also drop in some food coloring to make the water colored (since the glitter glue doesn’t color the whole water). Put the lid on and shake hard. It may take a minute to get the glue to mix with the water. Then open the lid and place the hearts in the water. Glue the lid on with a hot glue gun. Shake and enjoy! Read books to your children that highlight different emotions. Spend time talking about the emotions, why the character feels this way, if your child has ever felt this way, and what to do with this feeling. Try to choose emotions that are not often talked about in your day-to-day life (ex: jealousy, grief, frustration, and loneliness). This is called emotional literacy and is a great way to help children learn appropriate ways to handle feelings in a low stress environment. Use stuffed animals to help children learn how to take turns. Watch how your child responds when asked to take turns with the animal and help them problem solve through their feelings. Play games with your children. Allow them to practice winning and losing and how to handle both appropriately. Give your child a child-safe mirror to look at themselves while they experience different emotions. Help them label which emotions they are feeling in the mirror so that they can match how they look on the outside with how they feel on the inside. 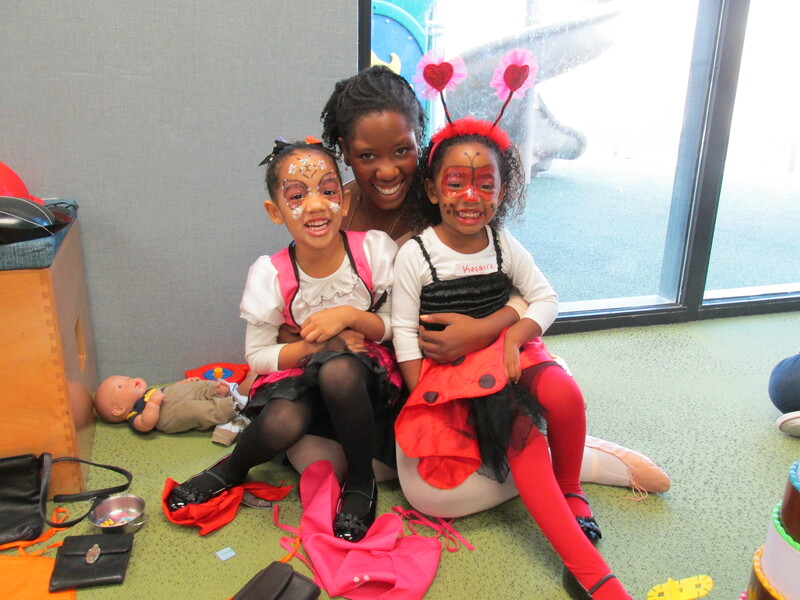 Plan play dates with other children or take them to activities that encourage social and emotional development. Fun Van is a great option! Model appropriate social interactions for young children and help them work through their problems. Give older children space to problem solve and work through frustrations while being present to intervene if needed. Give your child his or her own alone space to feel safe, experience emotions and calm down on his or her own. This can be a corner in your living space, their room, a play tent, or even just a comfy blanket with a few special stuffed animals. Above all else, listen to your child’s emotions and give them a safe space to feel them. It’s not a bad thing for children to feel strong feelings, but they need to learn how to feel these feelings appropriately. 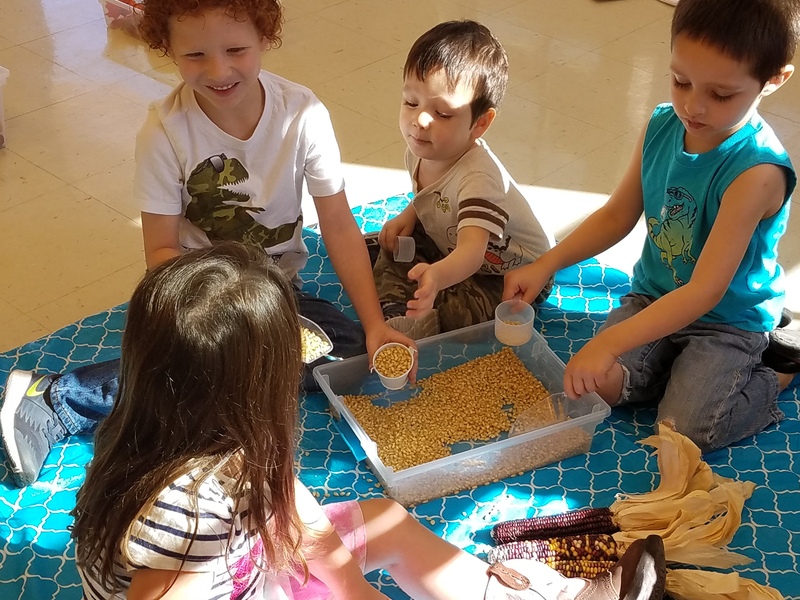 If fine motor skills are skills that involve using the small muscles of the hand, then gross motor skills are skills that involve using the larger muscle groups of the body to accomplish tasks. Gross motor skills, or large body skills, use the arms, legs and torso to execute complex movements in our everyday lives. Walking, jumping, climbing, balance, body awareness, coordination, physical strength, crawling, dancing and sitting upright are all gross motor skills. These skills build one on top of the other in complexity. For example, at infancy our babies aren’t able to walk. 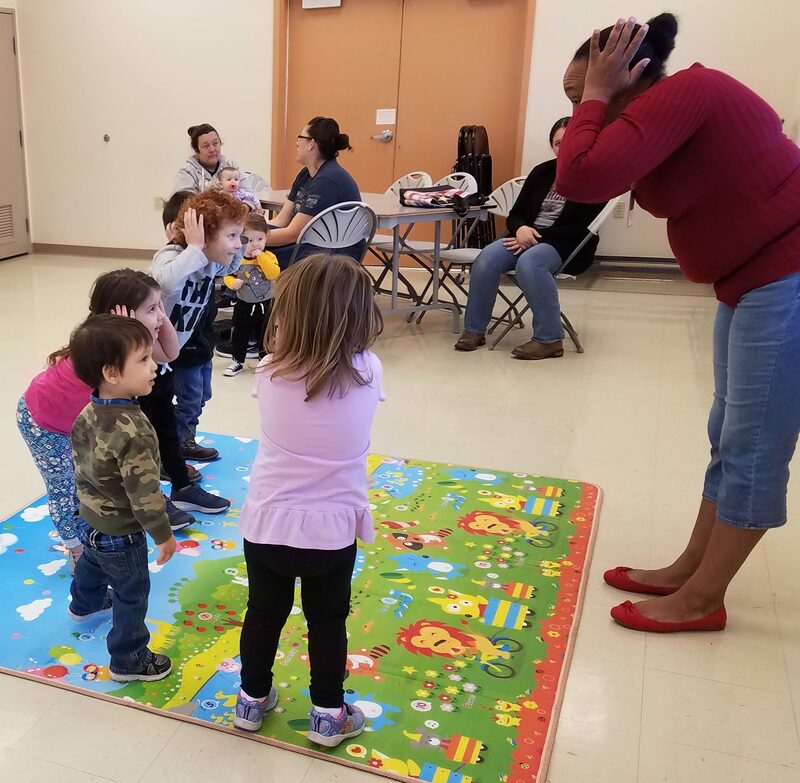 It takes time for them to master holding their head steady, rolling over, maintaining their balance while sitting upright, crawling, cruising along furniture, balancing while standing and then taking their first steps. It is not something that happens overnight, but a process of skills that are learned, practiced and fine-tuned over months and even years. Children and adults need ample time to practice each of these skills. Here is a very short list of fun ways to encourage gross motor development. And a link to an article by the New York Times about the importance of roughhousing. I highly encourage you to give it a read. It’s great food for thought. Tummy Time! Place objects just slightly out of their reach to encourage moving, twisting, rolling, etc. “Gross Motor Skills.” Kid Sense Child Development, Kid Sense Child Development, 2018, childdevelopment.com.au/areas-of-concern/gross-motor-skills/. Team, Understood. “Gross Motor Skills: What You Need to Know.” Understood.org, 2014, www.understood.org/en/learning-attention-issues/child-learning-disabilities/movement-coordination-issues/all-about-gross-motor-skills. 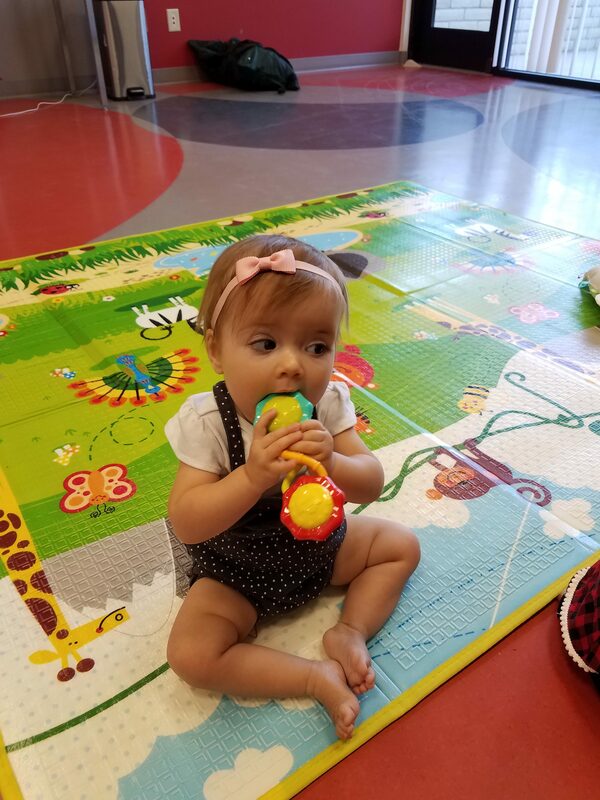 Developmental skills…you hear us talk about them all the time during our Fun Van classes, but what are they, and why are they so important? 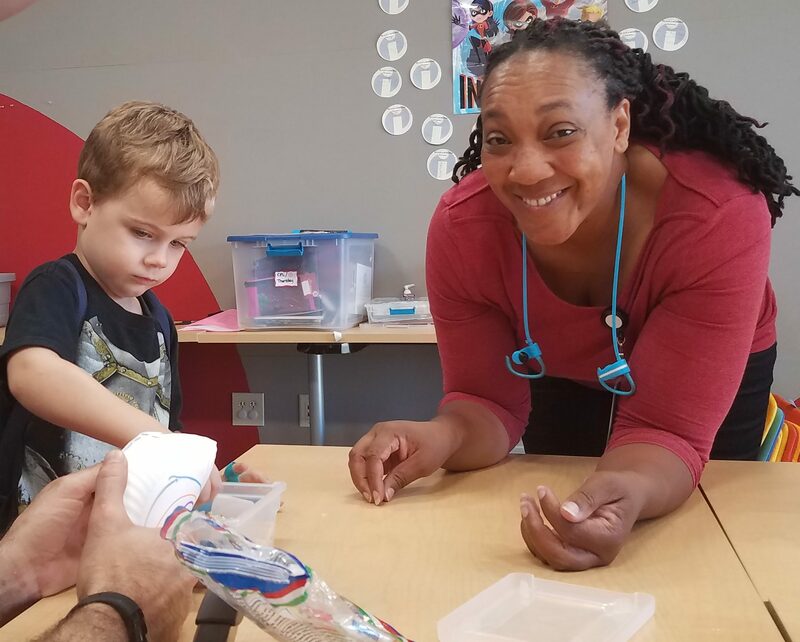 In early childhood (birth to 5 years old) we commonly refer to 5 developmental domains, or skills: fine motor skills, gross motor skills, language and literacy skills, social/emotional skills, and cognition skills. 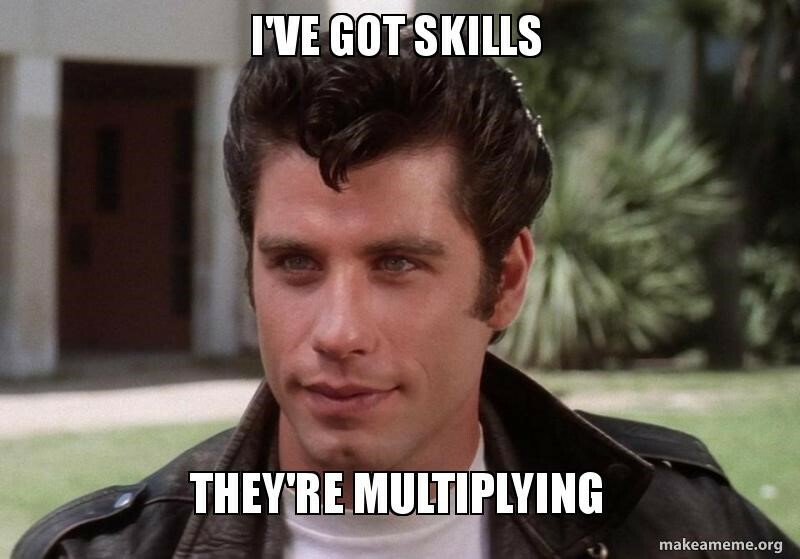 These skills are vital in performing everyday tasks. The more developed they are, the more successful children are in engaging with the world around them. As parents and teachers, it is our responsibility to set up environments and experiences that allow children to practice and perfect these skills, but it can sometimes feel overwhelming to do so. Over the next few weeks we are going to investigate each of these developmental domains and give a few examples of how you can help encourage these skills. If you have any questions about these domains, please ask your Fun Van educator. We are happy to help you come up with different ideas for your family. Fine motor skills involve the use of the small muscles in the hands. Think about buttoning a shirt, tying shoe laces, holding a pencil to write, or stringing beads onto a necklace; all of these activities require the precise use of our fingers in just the right combinations to accomplish the task. The more developed the muscles are the better the quality and quicker the task is accomplished. Fine motor skills are also necessary for academic tasks. Young children need help perfecting these skills. Look below for a couple of activities that help to promote fine motor skill development. Anything arts and crafts related: gluing, cutting, coloring, threading etc. “Fine Motor Skills.” Kid Sense Child Development, 2018, childdevelopment.com.au/areas-of-concern/fine-motor-skills/fine-motor-skills/. Here at Fun Van, we have a pretty incredible boss leading us, but many of you never get to see her. 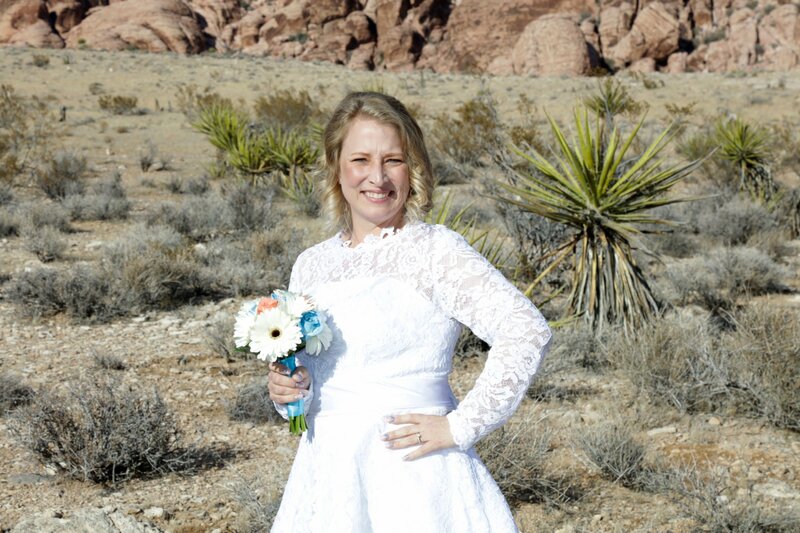 This week we are shining the spotlight on the lady who helps make Fun Van happen! What is your role for the Fun Van? Fun Van Supervisor- I write the grant, attend meetings, file paperwork, lead meetings and observations, and other boss-like things. 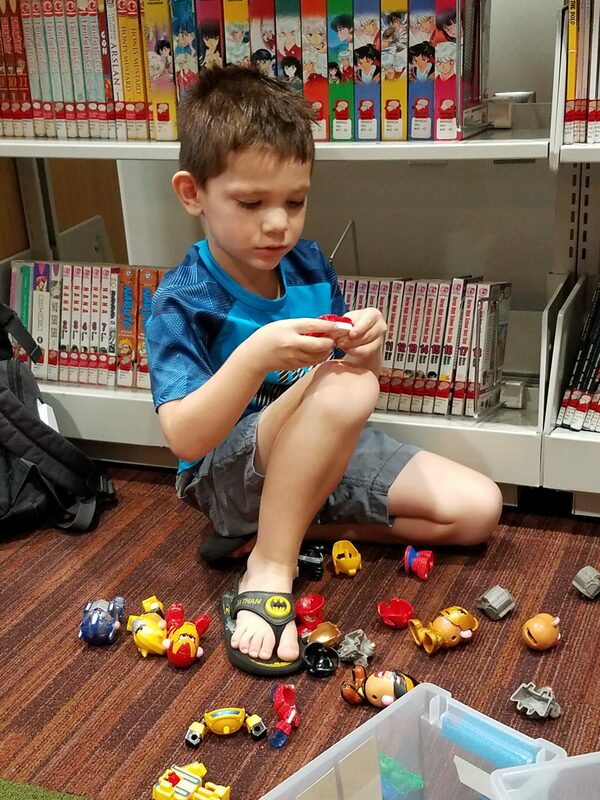 What other responsibilities do you have at the Apache Junction Library? I am the Youth Services Supervisory Librarian. 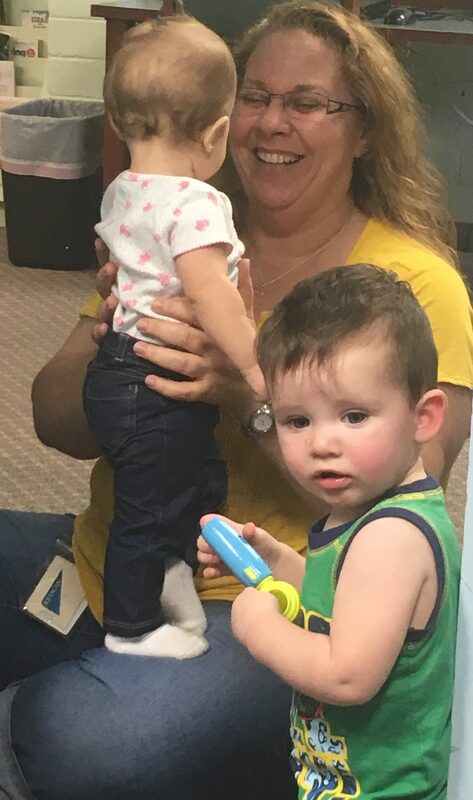 I also do Storytime, Preschool University and special Library events. To become a teacher, get married and have kids. I achieved two of them! What’s your favorite fall or winter beverage? My bean bag baby. I still have her. I used to be a karaoke hostess. Why do you think the Fun Van is an important resource? 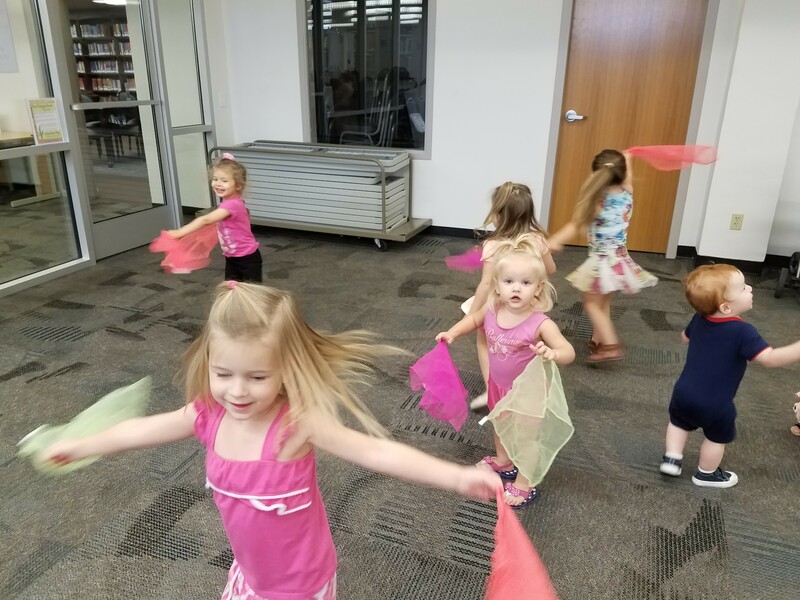 The best educators in the area travel to every nook and cranny of Pinal County to provide support and education in best parenting practices and early literacy skills for their 0-5 year olds, while the kids learn important developmental skills through play, stories, art and more. And it’s free! I like to kayak with my husband and hang out with my four animals. Who are a couple of your favorite children’s authors? 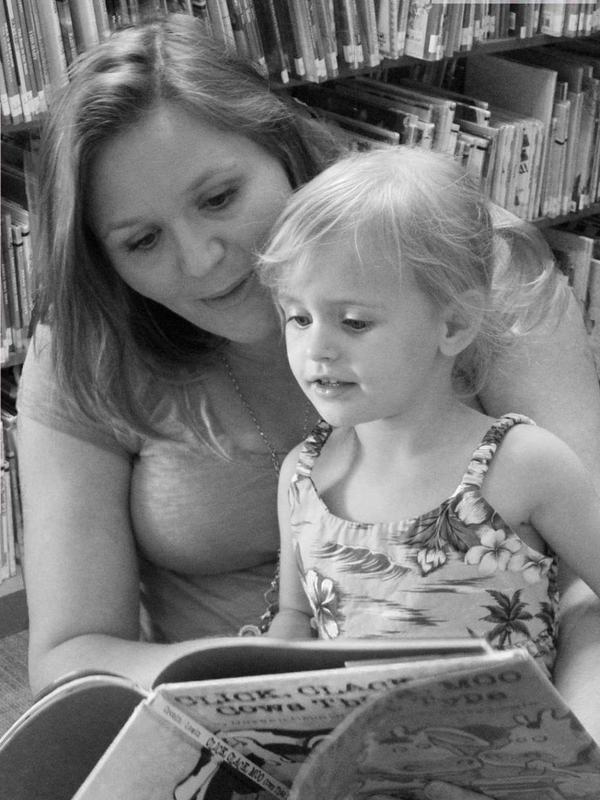 Do you have any tips for parents who want to enhance their story time at home? Get the kids involved. 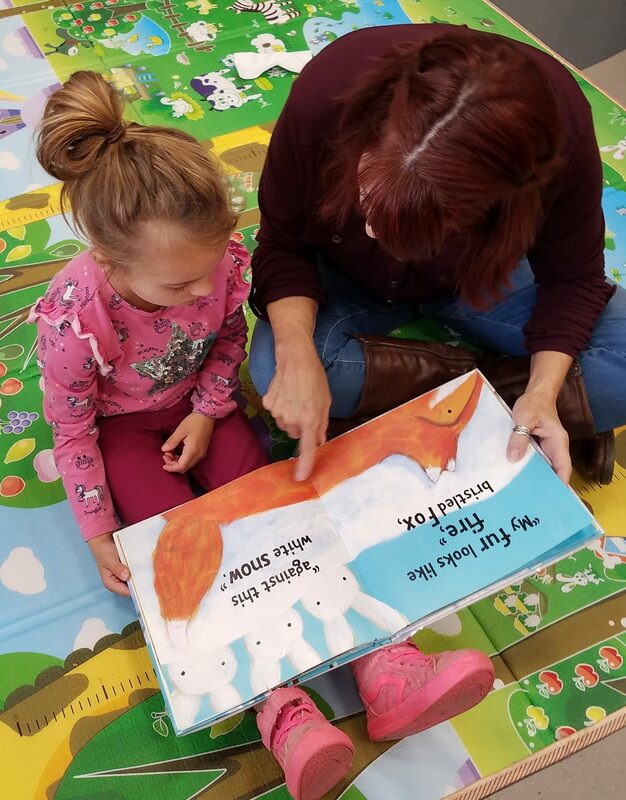 Ask them questions, make animal noises together, change your voice for the characters—anything to make the story meaningful to them and interactive as you bond with your child. The more you read to them, the better they will succeed in school! What’s your favorite fall or winter beverage? I was just introduced to Almond Milk Peach Cobbler Chai made by SOZO Coffee Shop…my new love!! What was your favorite toy as a child? I loved my Fisher-Price Dollhouse. My sister and I spent hours setting up the whole house. By the time everything was set up, we were bored and cleaned it all up to do something else. What’s one of your funniest parenting or teaching moments? I was teaching in a four-year old classroom and one of my boys was super hyper. As I was standing in front of the class giving directions, he kept wiggling and rolling on the ground. Finally I said, “Alex stop wiggling, you are going to hurt someb—” Before I could finish my sentence, his shoe flew off and hit me in the mouth. It hurt terribly and I had to walk out of the classroom so I didn’t cry or yell in front of him. He apologized to me every day for the rest of the year. What’s a fun fact about you? I ate dinner with live zebras and white water rafted with crocodiles in the Zambezi River, all in the same day. What snack is your guilty pleasure? Watermelon…always watermelon! What did you do before working at the Fun Van? I was a director of a preschool and a nanny. How did you hear about the Fun Van? I taught a toddler tumbling class with Miss Julie Reeves while I was getting my masters. She later started working at Fun Van. When she was ready to move on to another job she reached out to me and told me she thought I would be a good fit here. She sent my resume to the library director and he contacted me for an interview. What do you enjoy most about working at Fun Van? I love working closely with parents. One of my frustrations as a director and preschool teacher was not being able to truly get to know and help parents. Now I get to brainstorm and problem solve WITH parents. Watching parents fall in love with their kiddos and with parenting, regardless of the age or stage their child is in, is my favorite thing. What do you enjoy doing in your free time? I spend my days hanging out with my awesome 4 month old and my amazing husband. We love to cook, hang out with other families, travel and search for Geocaches. What advice do you have for parents? Find a tribe. Parenting is hard and isn’t meant to be done alone. Also, don’t be afraid to ask for help. You know your child better than anyone on this planet. If you suspect something is up, ask for help, and keep asking until you get what you need. Elephant and Piggy books by Mo Willems are hilarious read-aloud books! Miss Julie’s playdough is the best! She always comes up with fun scents to match our themes. The apple pie spice that is in our centers this month is the best! Let’s get to know Miss Felicia! What’s one of your funniest parenting or teaching moments? I was doing an experiment teaching the children about distance. We used an air popcorn popper without the lid and had hot popcorn flying at the children. What’s a fun fact about you? When I lived in California, I used to drive 6 hours to get to the Rogue River in Oregon; just so I could camp and recharge over the weekend. What did you do before working at the Fun Van? I taught Head Start on the ASU Polytechnic campus. How did you hear about the Fun Van? I received a call from a recruiter who told me she had the perfect job for me. What do you enjoy most about working at Fun Van? I love the relationships that I’ve been able to build with the families over the years. What do you enjoy doing in your free time? I enjoy reading and trying new crafts. What advice do you have for parents? When you feel like yelling or can’t seem to find the words for the latest “mess”, take a picture. Walk away and send it to your husband/wife or close friend, vent to them. Then go back and ask how can we/you fix this? 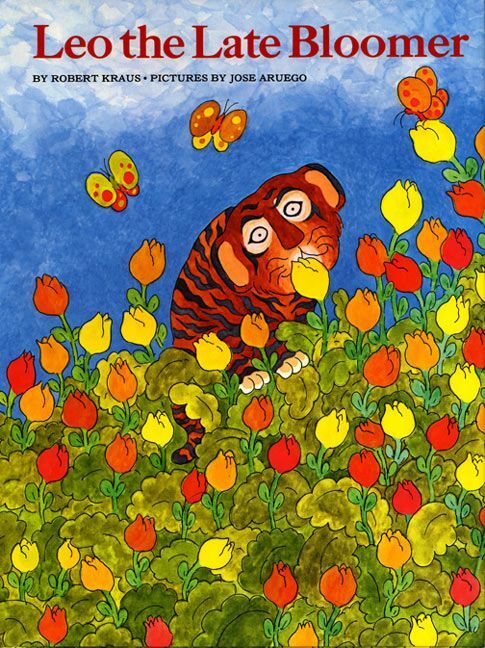 Leo The Late Bloomer By Robert Kraus is one of my favorites. We make paper bag puppets to go along with the story. I wanted to be a veterinarian until I found out they had to put animals to sleep. I changed my dream to country western singer. I am currently re-reading To All the Boys I’ve Loved Before. It is a favorite of mine and now a Netflix movie! The movie was so good I had to read the book again. I had a teddy bear that I loved and went everywhere with me. He has now been passed down to my daughter. What’s one of your funniest parenting or teaching moments? The most recent funny parenting moment happened last night. The baby was trying to stay awake and I was trying to get her to sleep. I was starting to get frustrated because it was so late. She suddenly started singing “Happy baby” (birthday), blowing, and then clapping. It was so cute and random that I couldn’t help but crack up. It calmed me down and she fell asleep about 10 minutes later. I LOVE singing karaoke. I have a terrible voice but that doesn’t stop me. I know the lyrics to most songs so instead of looking at the screen, I dance and involve the crowd. It makes up for my lack of pitch. Before Fun Van I was a ninja. My mom sent me the job opening email and told me to apply because the job was made for me. What is free time? Hahaha! I love to read, watch Nexflix, go on dates with my husband. Tell and show your kids you love them every day. They won’t remember every craft, or story, or activity. They will, however, remember how you made them feel. What’s one of your favorite books or activities for your Fun Van families? 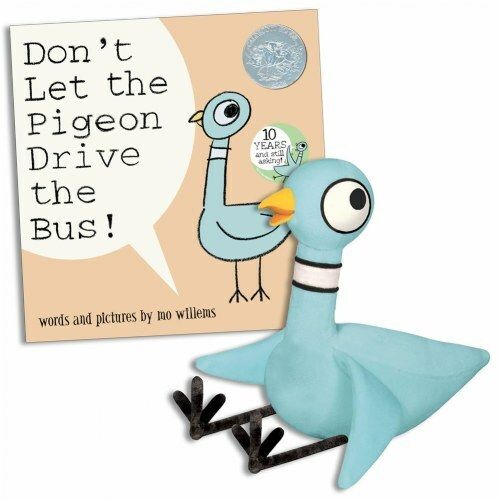 I love the pigeon series by Mo Willems. What snack is your guilty pleasure? Dark Chocolate covered raisins. How many long have you been with the Fun Van? 3 whole weeks. What did you do before working at the Fun Van? I worked in home visitation using the Parents as Teachers curriculum for 3.5 years. Before that I worked as a Family Support Worker for Family Preservation. How did you hear about the Fun Van? I have known about Fun Van since 2014 while working for Easter Seals Blake Foundation. However, I learned about this current position through researching for a position where I could best use my skills in child development. What do you enjoy most about working at Fun Van? I love how everyone has been so welcoming. Everyone works very well together and is very supportive of one another. It seems to be a positive and warm work environment. What do you enjoy doing in your free time? When I have free time, I make sure to spend time making memories with my children. I love going to comedy shows as well. What advice do you have for parents? Parents are a child’s first teacher. Remember that it is your job to advocate for your children, especially when there is a need. 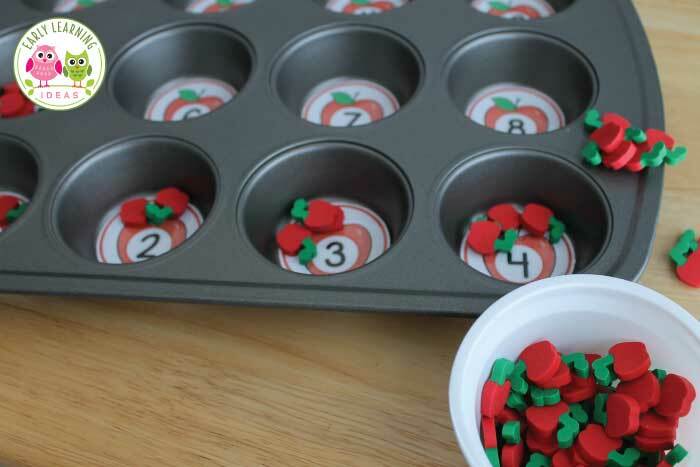 I love this counting activity using apple erasers in a muffin tin. It is such a simple activity, but very helpful for introducing and practicing 1-to-1 number correspondence. Thanks to https://earlylearningideas.com/apple-math-activities/ for the idea! When my son was about 3, we were outside having dip and chips with some friends. Just in time, I stopped my son from dipping a WORM into the French Onion Dip!! My family had a pet alligator when we were growing up. I found this best-ever job while I was surfing the website! Always laugh it off! In the long run, it really will be OK!